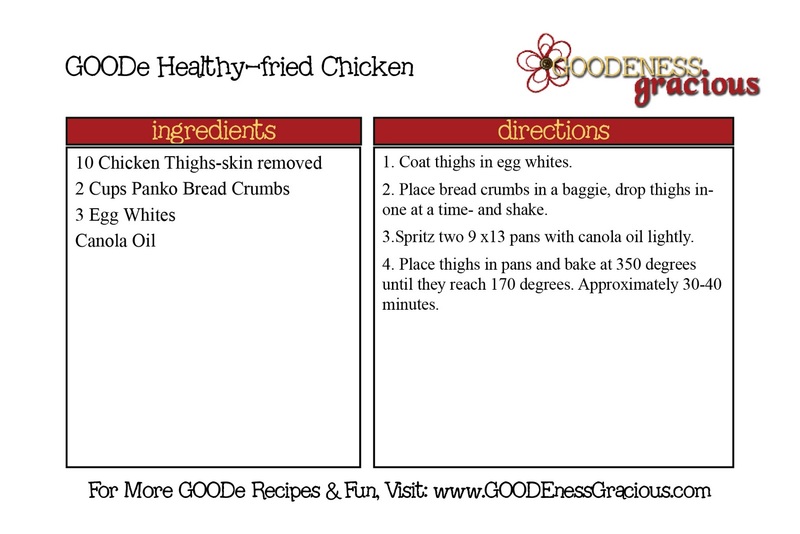 It is a great way to lighten things up without losing all the yummy flavor of great fried chicken AND it is super easy… which is another plus during these crazy holiday days! You start by removing the skin from a 10 pk of chicken thighs. Now it is time to set up your dunkin’ station. Take a small bowl and add 3 egg whites. Grab your favorite bread crumbs. We use Panko–they are super crunchy and very yummy. Place about 2 cups inside a baggie. Perfect crunchy shell and perfectly juicy inside–just like fried chicken– except a lot less calories and fat. I LOVE your egg seperator, would you mind sharing where you found it?